Rosemary tea adds a stimulating, uplifting note, that works best when mixed with mints or lemon. 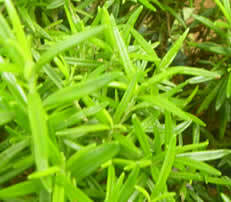 Rosemary tea is also a wonderful hair rinse and bath herb. Recipe Instructions: Herbal Tea :Use a fresh teaspoon of the piney, resinous leaves in tea blends, and baths. Infuse with boiling water in a closed container. Make a stronger tea for use as a hair rinse.